I created this vest for my dad, Ted. It features a generous size range, large armholes for ease of movement and a V neck to take a collared shirt. 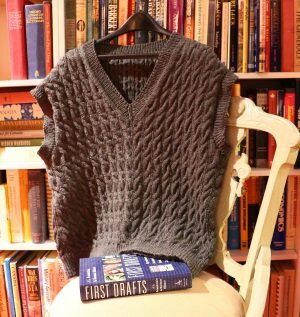 Knit it in one piece to the armholes, it is surprisingly quick but looks intricate. Uses DK weight yarn.